Time and place are exquisitely linked. As you go higher, for example, time dilates. These days its even possible to measure this change in the tens of centimetres so the skyscraper dwellers of London can laugh at the fast-ageing bottom-feeders. The world’s most accurate clock – the optical lattice clock – measures the electronic transition in strontium-87. It is so accurate it could run for 5billion years without a missing a second. It is accurate to 100 quadrillionth of a second. Back in the 18th century, time and place were linked in a more prosaic way. 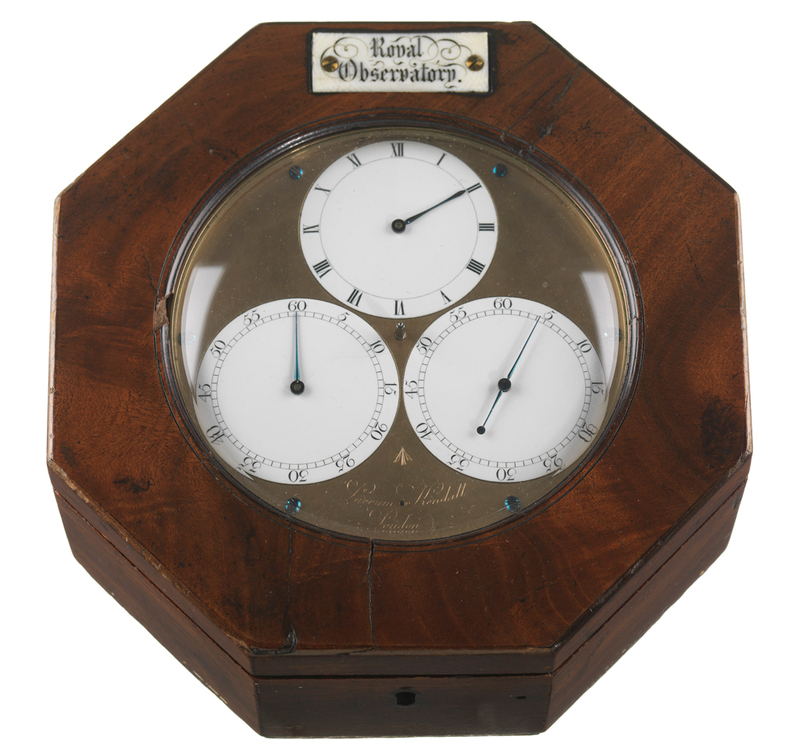 If you could tell the time accurately at sea, you could tell where you were and wouldn’t crash into islands. The quest for an accurate measure of longitude began with the Longitude Act which came into force 300 years ago, offering rewards to inventions that would tell sailors where they were. John Harrison (1693-1776) was a self educated carpenter and clockmaker from Yorkshire. 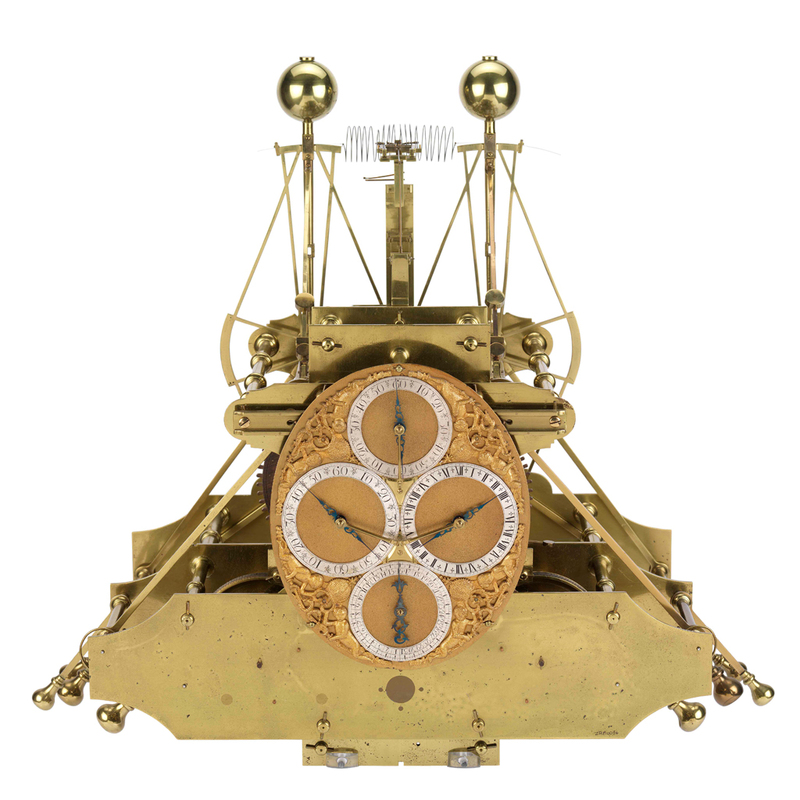 He rose to the challenge of the Longitude Act 1714 which offered £20,000 to find a means of establish East-West position with a series of chronometers of breathtaking beauty and unparalleled accuracy. 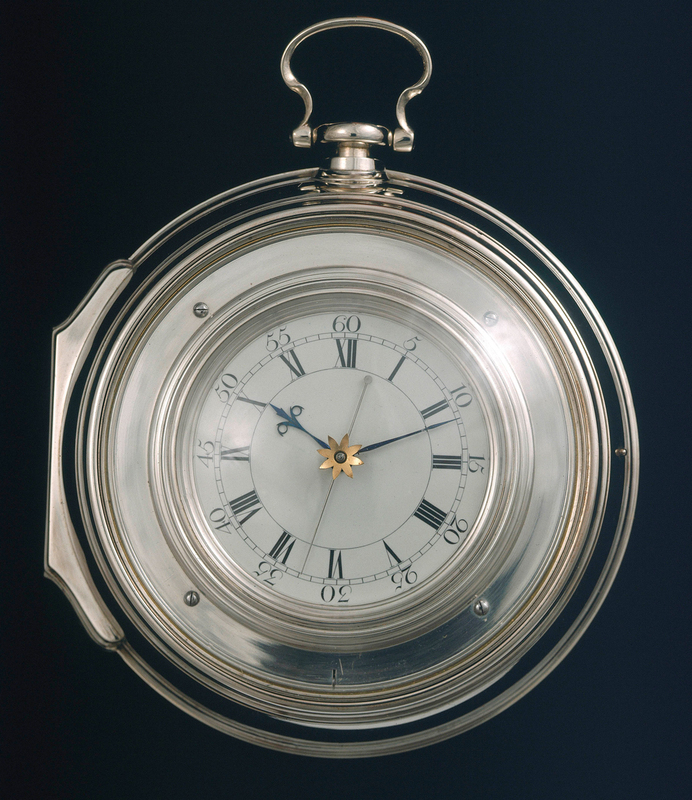 This clock was made by Harrison (1693-1776), at the age of 22. 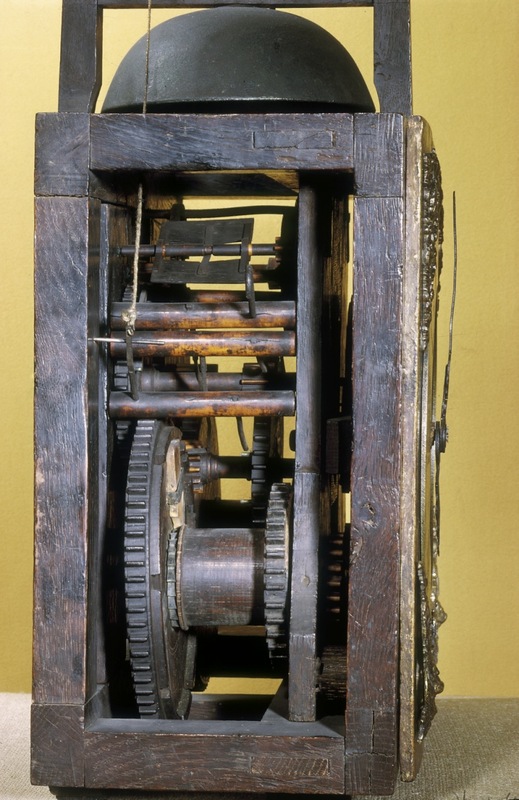 Although the design of the clock is conventional it is made almost entirely of wood, partly, to reduce the need for lubrication, but also because Harrison was a carpenter by trade. 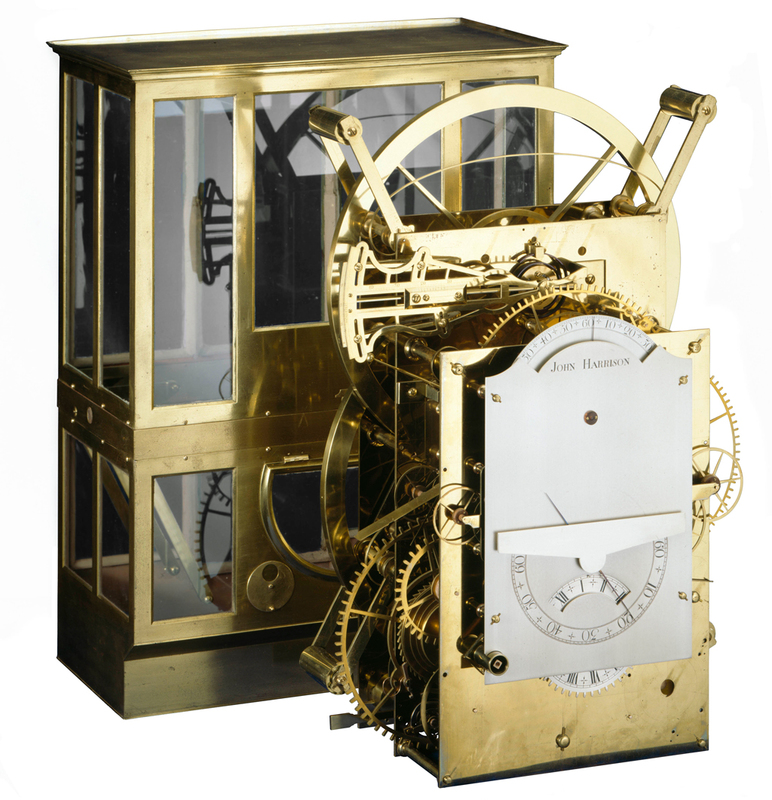 The clock movement was weight-driven and would have been mounted in a long case with a pendulum. The first of three wooden clocks (1713) is in London, at the Worshipful Company of Clockmakers’ Collection in Guildhall;. the second (1715), is in the Science Museum; the third (1717) is at Nostell Priory in Yorkshire. H1 is essentially a portable version of his precision wooden clocks. The moving parts are controlled and counterbalanced by springs so that, unlike a pendulum clock, H1 is independent of the direction of gravity. It runs for one day. Larger and heavier but essentially the same design as H1. But John Harrison gave up when he realised that the bar balances would be better if they were circular. 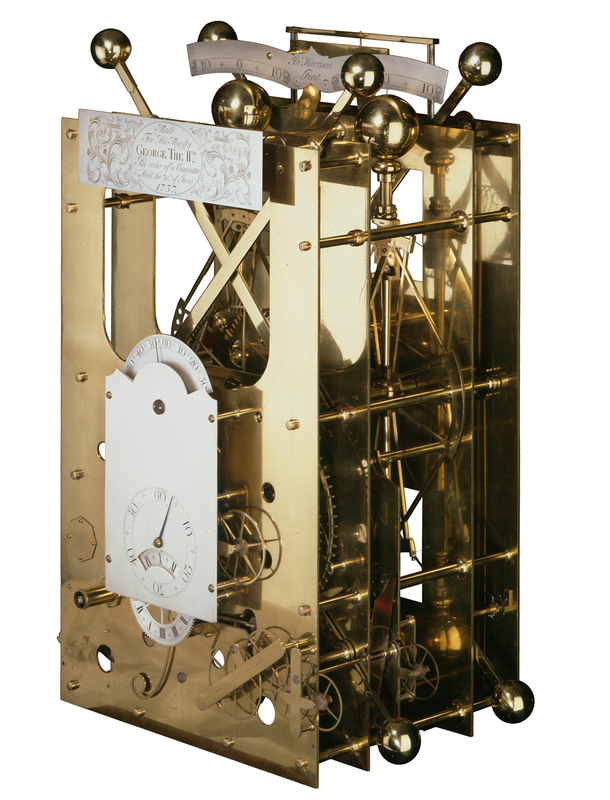 After 19 years and two innovations (a bimetallic strip to compensate for the effects of temperature and a caged roller bearing to counteract friction) the clock came to nothing and Harrison realised he needed to go in a completely different direction. 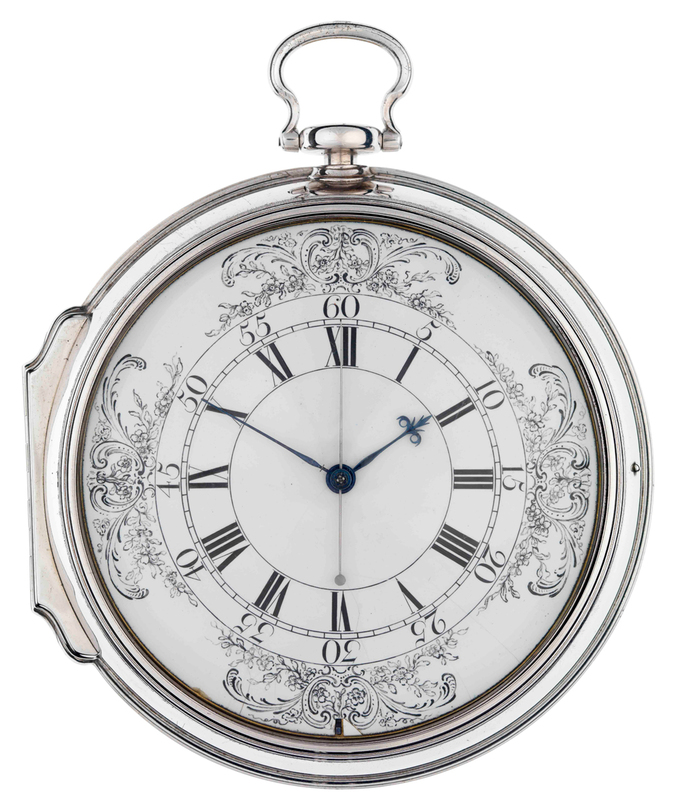 No-one thought that a pocket watch was the answer but Harrison saw that it had potential. On a journey to the West Indies (November 18, 1761 – January 19, 1762) it lost just 5.1 seconds. 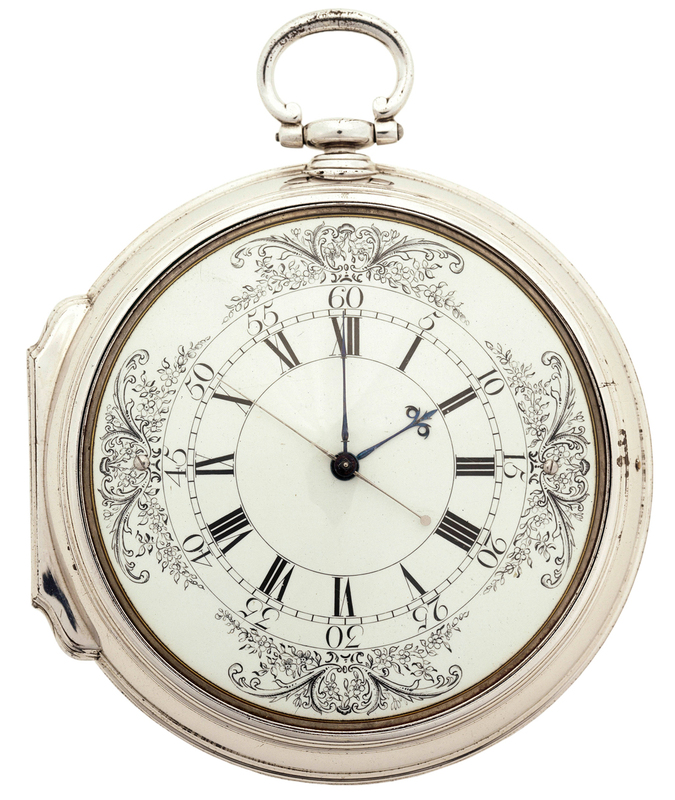 The watch’s error was three times better than the figure required to win the Longitude Prize. But he needed to show that the watch could be recreated at least twice. John Harrison, in his 70s, and his son William made a copy of H4, called H5. But Harrison was beginning to feel like he was being held hostage by the board. He enlisted the aid of King George III who tested H5 for himself, who was well pleased. The King suggested Harrison should petition Parliament for money and Harrison received a further £8,750. 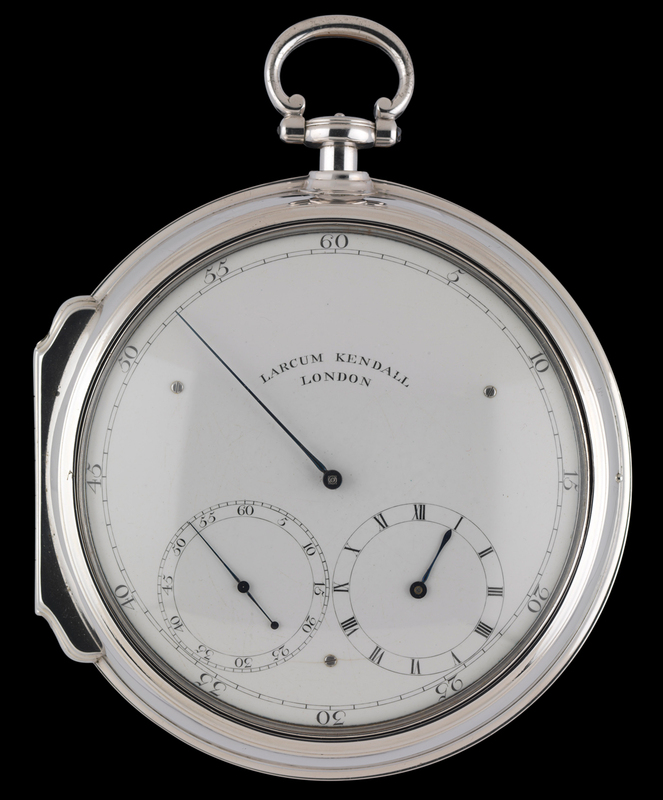 In total, Harrison received £23,065 in grants for his work on chronometers – about £3million in today’s money – but he was never awarded the prize. No-one was. John Harrison chose Larcum Kendall to make the other copy. K1 was completed in 1769 and judged to be an exceptional copy even though Kendall said he had no faith in the design. In 1772 K1 was sent for trials with James Cook on his second voyage of discovery to the South Seas (1772-1775), during which time it performed well. Cook called it his ‘trusty friend the watch’, his ‘never failing guide’. H4 (and K1) were complicated and a simplified version was commissioned from Kendall – K2. It was issued on the 1773 voyage of to the North Pole on the Racehorse, for which a young Horatio Nelson was midshipman. Later in its career, in 1789, it travelled with William Bligh on the Bounty. When the crew mutinied, it stayed with the ship and went to the Pitcairn Islands. It returned to England in 1840. Further simplification by Kendall led to K3 of 1774. This went with Cook on his ill-fated third voyage (1776-1779). Cook and four marines were killed in an altercation with natives of Hawaii. K3 was no great improvement on K2.